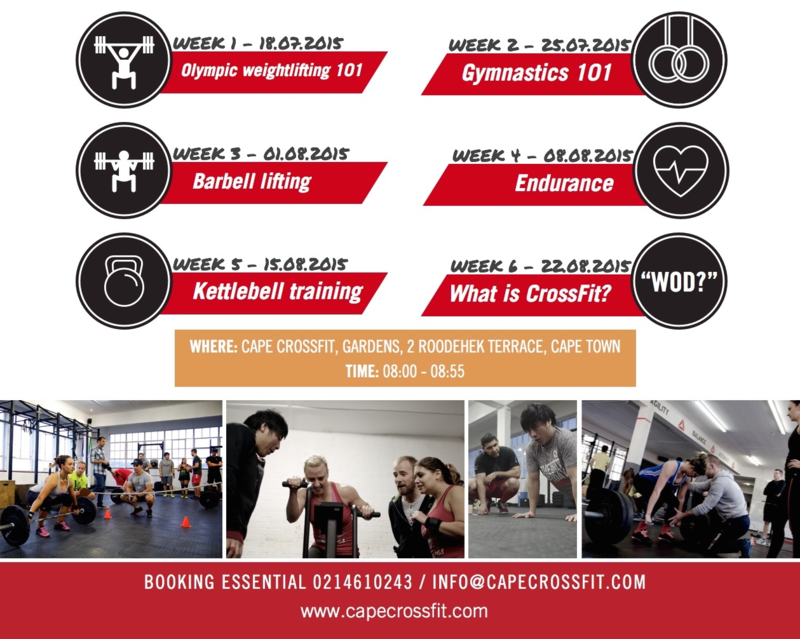 The CCF 101 Series - FREE Beginner Sessions, figure out why CrossFit really is for Everybody! We often hear that "CrossFit is scary" or "I need to get fit before I start" and we believe these fears to be unnecessary and therefore want to debunk the myths around CrossFit - we are stoked to announce that for 6 Saturdays from the 18th of July we will be offering FREE training for anyone interested in finding out just how inclusive CrossFit really is! We believe that everyone can, and should, do CrossFit - and now we have chosen 6 areas that are the main foundations of our training program. We want to show you how we can break them down and introduce them to anyone regardless of previous experience. You don't have to take part in all 6 sessions, but obviously we hope that you will! What is the CCF 101 Series and why should YOU check it out? Olympic Lifting 101 - can highly technical movements be made beneficial for ANYONE? Why do we think everyone can benefit from Olympic Lifting - and more importantly, how do we break them down to fit YOUR current level and ability? Gymnastics 101 - how we use easily accessible body weight movements to make you move your self efficiently through space: And how we can get you to perform Pull Ups, Push Ups and even more advanced Gymnastic movements! Barbell Lifting 101 - why we believe that the barbell can be your best friend when it comes to shaping your body: Why strength training is crucial for ANYONE wanting fitness. Power lifting is not really about bigger muscles, strength is always important. Endurance & Conditioning - Rowing and Skipping are two excercises we incorporate often to get your heart rate up: Learn the correct Rowing technique and how to master the jump rope to work your conditioning at it's best! Kettle Bell Training - the Russian training tool that has taken the world by storm: And how we use it to make you better at controlling an external load - for real life functionality! What is CrossFit? To tie it all together we will run you through a quick lecture on WHY we do things the way we do them, and then we obviously let you try out a workout based on all the above principles. Where: Our Gardens box, 2 Roodehek Terrace, Top Floor. (Just off Hope Street). When: 6 Saturdays at 8.00-9.00am from the 18th of August 2015.